Due to additional information received, we would like to clarify how clinicians can participate in MIPS reporting in 2017 in order to avoid a penalty in 2019. As a result, psychiatrists who have not adopted an electronic health record will still be able to avoid a penalty in 2019 by reporting at least 1 quality measure or at least 1 improvement activity during calendar year 2017. 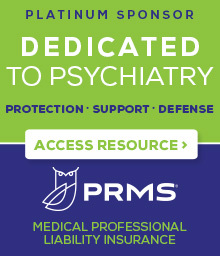 Any psychiatrist who qualifies for the low volume threshold exclusion for 2017 will automatically avoid a penalty in 2019 and will not be required to participate in any MIPS reporting in 2017.